Ven. Thubten Chodron began sharing the Dharma in Singapore and neighboring Malaysia in the late 1980s when she was a resident teacher at Amitabha Buddhist Centre. She has returned frequently since then and just completed a 2017 teaching tour to these two countries. 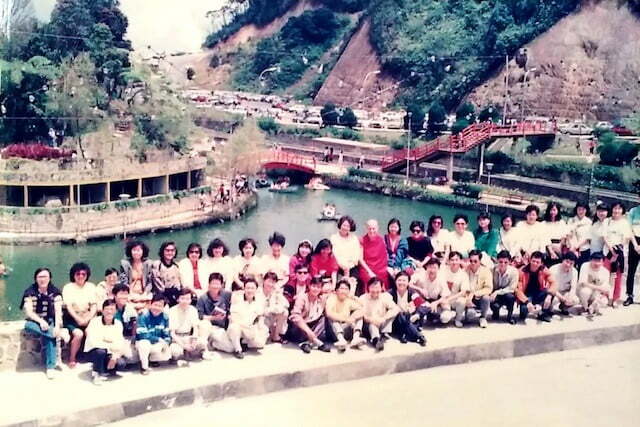 At Nalanda Buddhist Society in Petaling Jaya, Malaysia, she reconnected with old friends including Ananda Fong and his wife, C.C. Cheah. They had taken part in a Buddhist camp organized by Buddhist Gem Fellowship with Ven. 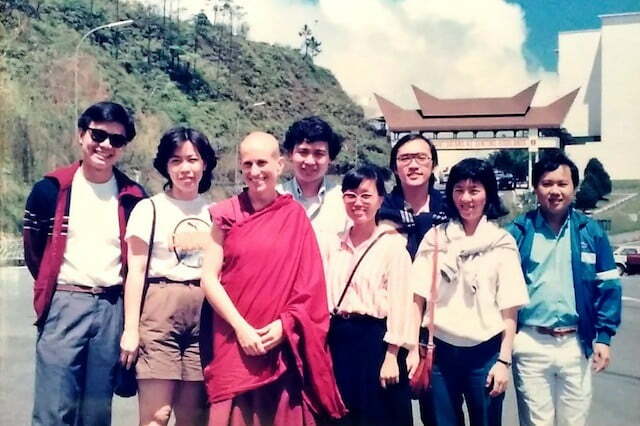 Thubten Chodron in 1988 and sent photos from that time together in Genting Highlands, Pahang, Malaysia. How wonderful that these two — and many other longtime students from Malaysia and Singapore — have stayed so close to the Dharma, keeping ethical conduct and working for the benefit of others in their families and workplaces. Here are “before and after” photos. You can see more photos of the 2017 Malaysian teachings and listen to one of Venerable’s Malaysia talks, Heart Advice for Dealing with Difficulties. Ananda Fong, Ven. Damcho, Ven. Chodron, and C.C. Cheah, 2017.